Florida's Southwest Region has more "Best Beach" category winners than any other region. There are fifty miles of perfect, beautiful, white sandy beaches along these west coast beaches. Sounds like a 'Grande' idea if you are looking for a calm, relaxing getaway that doesn’t require you to get out of that chair and umbrella on the beach. Sea turtles are always hatching here so you’re sure to spot some of these cute little critters as they lumber back and forth from the ocean to lay eggs on the shore. Maybe you will get to see a 'hatching'! Absolutely breathtaking to behold with its beautiful tan sands and clear aquamarine water. This peaceful beach getaway is centered around the recently renovated Bradenton City Pier. Cape Coral Florida has 400 miles of canals filled with fish ready to grab your hook and join you for dinner. This prime fishing spot is situated between the Caloosahatchee River and the Gulf of Mexico. Unique position in the Gulf of Mexico gives puts this beach in a great position to receive tons of rare and colorful shells. Bring a large bag and prepare to bend over a lot. This beach is where you want to go for that winter break from snow and sleet. Inviting, warm, delightful and a great beach with great sand and water qualities. This beach is located on award-winning Siesta Key (Top 10 Beach) so it can share bragging rights about excellent sand and water quality. Great coral reefs just offshore make this a popular spot for snorkeling and diving. Englewood Florida has miles of rolling white sand freckled with shells, glowing aquamarine water and a backdrop of Olde Florida’s natural vegetation and trees. Fort Myers Beach Florida named, “the city of Palms”, is booming with lots of daytime activities, shopping, eating and also offers some of the best nightlife in the state of Florida. This is one of the beautiful five beaches on Anna Maria Island including Anna Maria Beach, Manatee Beach, Cortez Beach and Coquinta Beach. Each beach is unique with its own personality. Which one is perfect for you? Would you believe a heated in-ground fresh-water pool on the beach? Two great options; a dip in the pool or a dip in the ocean? Can't lose. The “Rolls-Royce of Islands” AND one of the top Florida Beaches! Do these honors come from the exquisite beauty of the white sand and crystal clear water or ambiance of luxury and seclusion? Marco Island Florida offers great shelling opportunities, surfing, fishing and a big secret we will share with you. There is something for everyone on Marco Island but the secret is. . . This elegant beach lies within Olde Naples where the original mansions still stand along “Millionaires’ Row” and provide a unique backdrop to this beautiful beach. This is the #1 "Bet Shelling Beach in the World". Powerful waves bring in tons of colorful, unusual and rare sea shells and piles them up on the banks of this beach. Come help yourself. This is the #1 "Best Shelling Beach in the World". Powerful waves bring in tons of colorful, unusual and rare sea shells and piles them up on the banks of this beach. Come help yourself. Some folks come for the fabulous beaches and others come for Sarasota's class, culture, history, museums, weather, shopping, theater, nightlife and fabulous restaurants. Sarasota has it all. If you are looking for the perfect tropical paradise vacation for a romantic interlude, look no further than Siesta Key Beach Florida. This is a favorite honeymoon destination. Known as the "Shark's Tooth Capital of the World" because fossilized shark's teeth wash up on the beach from a large fossil deposit offshore. Local jewelers will mount your treasures while you wait. 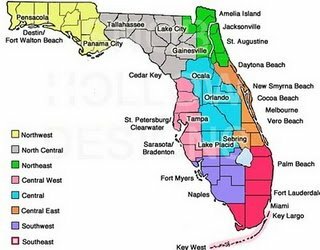 Southwest Florida is popular all year with tropical temps and lots of sunshine and all those things that put everyone in a good mood! Hawaii has nothing on Southwest Florida.